Why, oh why do I write non-reviews? I write them for products that I will not buy, and since I will not buy them, I cannot use them. Since I cannot use them, I cannot review them. Simple, right? 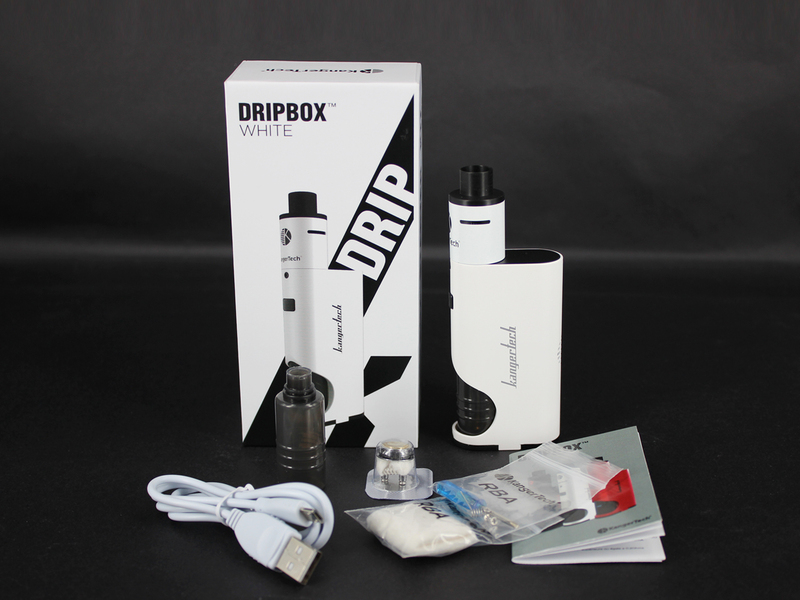 The Kanger Dripbox is a great concept. I love squonkers! I love the idea of an RDA with a replaceable coil head! The bottle design in this is likely the best I've ever seen. ...it becomes obvious that something was left out of the Dripbox. There's no regulation and no TC. What? This device could have easily fit into the body used by the Kbox 70 and benefitted from the chip in there. Instead, Kanger chose to create a brand new enclosure (based on every other enclosure they've ever used), and omitted the chip. I understand... sort of... maybe they looked at the Reo (unregulated squonker), the Terminator/Smokeless Owl (unregulated squonker), or the Kui (unregulated squonker) and thought that was enough market research for one day. In doing so, they forgot to look at the Sunbox line (regulated squonker often with TC), the Geyscano (regulated squonker), or the Kangxin Inoy (regulated squonker with TC). That bit of oversight is a HUGE missed opportunity. HUGE! The opportunity to take squonking to the next level for budget conscious vapers. I suppose that it's all a plan... get people hooked on the concept of a squonker before introducing the Dripbox V2 75 TC, but by then, it might be too late. Truth be told, I'll probably end up getting one of these someday. At the $30 price tag I've been seeing around, it's kind of a no brainer. I mean, it has most of the protections a regulated box should have... just without the benefits of regulation. That said, if it had been regulated and $40, I would already own one. I think Kanger, bein: new to the concept of Squankers, wanted to see just how big (or not) the Squanker market really is(or isn't) and by doing it this way, they can get their toes wet (and take the temp of the market) without taking a bath in water that's hoter than they can stand. Besides it fills a gaping hole in their line-up. Totally agree. And finally they find they are wrong, with cost. The idea was a simple dripped, a monkey could use, alot of us seem to forget there are still aloooooot of noobies out there who have no blood clue as to what there doing, kangertech did those noobies a big favor by giving them a small sample of what the dripping life is like. They knew what they were doing and they did it right.